I was writing an article for FUMSI and editor Marcy Phelps suggested that I add a list of ways to be better at cold calling. It was a challenge since most of my experience with cold calling is following my intuition. However, in the spirit of cooperative intelligence I will share some of the practices that I have developed over the years as a researcher. Like anything else, practice makes you a lot better. I am always thinking about ways to empathize and be more sensitive to the other person. I am most effective when I focus on the person I am speaking with, think emotional intelligence, and forget about myself. I also strive to keep an eye on the clock to respect their time. How do you think they’re motivated? Why would they want to talk with you? Can you guess what they’re like based on their occupation? Read up on their profession if you don’t know it. Prepare a good intro about yourself: short and crisp. Be ready for their questions about you. Decide what you won’t share. Prepare the list of questions you need to have answered. Why would they want to answer these questions? Which questions might be easier for them to answer? Make sure you have some open ended questions to start. Can you learn about them on LinkedIn, Zoom Info, Jigsaw or other social media? Warm up the call up with this information: do you have something in common? Or is it easier just to call the person without taking the time to research who they are? Psych yourself up: envision and expect them to share with you. Be interesting on your end, even if you’re horrified! Smile as you talk: your optimism travels through your tone of voice. Think confidence: this comes through the phone line too. Prepare yourself for the call to go differently than you had planned so you’re not taken by surprise. Some of my best intelligence collection comes from being open when the call takes a unexpected twist! Learn what works with every phone call & tweak your approach accordingly. If you listen closely to their tone, their words, their silence and confidence, you’ll be amazed at your creativity to probe in different ways. Leave them feeling good about themselves: it’s always a good practice. Making them feel good also leaves the door open for future communication! 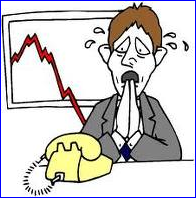 What are you doing to improve your cold calling?